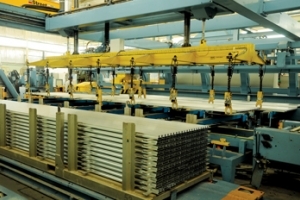 Bahrain Aluminium Extrusion Company (Balexco), a major exporter of profiles, witnessed modest growth in output and revenues in 2015 and is bracing for plant expansions and refurbishments over the next two years. Production in 2015 was 22,900 tonnes against 17,226 tonnes in the previous year, while the sales turnover advanced from BD25. Bahrain’s Arabian Sugar Company, which came onstream in 2014 and produced 200,000 tonnes of white sugar last year, is looking to increase working capital to boost capacity and find more customers, the company said, according to a Reuters report. The refinery’s current installed capacity is 600,000 tonnes. Dubai-based Leminar Industries is all set to expand its reach throughout the region and beyond, says a top official. With the opening of its new, $27. 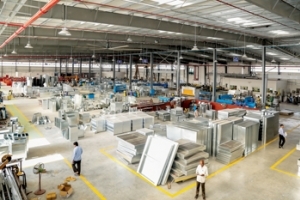 Gulf Dynamic Services (GDS), a subsidiary of Masharie LLC, the private equity arm of Dubai Investments PJSC and one of the leading names in turnkey interior fit-out solutions, is targeting 25 per cent growth in turnover this year as demand for quality fit-outs continues to increase with hectic construction activity in the UAE and GCC countries.